“Medications can be altered by extreme heat and even moisture, causing them to become less potent before their expiration dates,” said Dr. Hani Jneid, assistant professor of medicine – cardiology at BCM and interventional cardiologist at the Michael E. DeBakey VA Medical Center. For example, Jneid said aspirin can begin to break down into acetic acid and salicylic acid, both of which can irritate the stomach and not have the intended medicinal effect. Dr. Sara Bezek, assistant professor of medicine – emergency medicine at BCM, and her colleagues at the Harris County Hospital District’s Ben Taub General Hospital said that some medications are more sensitive to heat than others. In general, most medications should be kept in a cool, dry location and in their original container. Never leave medications inside an unattended vehicle. While driving, keep medications in passenger areas of the vehicle, not in the trunk or glove box. Do not store medications in the bathroom because of high humidity and frequent temperature changes. Keep all medications away from appliances that generate heat such as above the refrigerator. Immediately pick up all mail order drugs so they are not exposed to the elements. 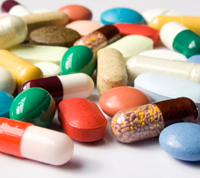 If medication is exposed to heat, do not take if it has changed color, texture, or odor even if it has not expired. Capsules or tablets that stick together, are harder or softer than normal, or are cracked or chipped might also be damaged by heat. Always call your doctor or pharmacists to help determine if medications need to be thrown out. Most medications will have temperature and expiration dates on the bottle. It is important to check this information periodically to ensure medications are still effective. Another safety reminder is to make sure prescription drugs are also in a location that is locked to ensure they do not end up in the wrong hands, Jneid said.